A professional veterinary blend of essential macro and micro minerals for dairy cows. 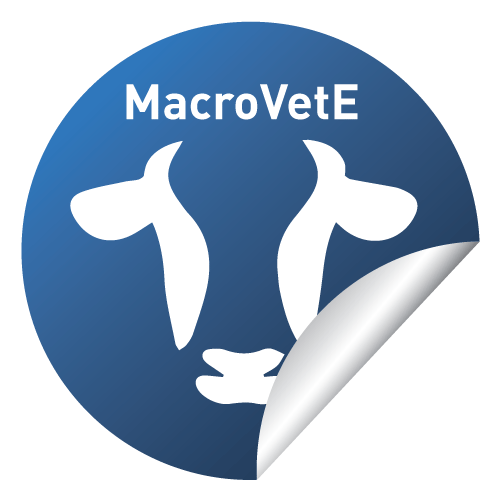 MacroVet is a pelleted concentrate specially formulated by Warrnambool Veterinary Clinic to contribute to lactating cow requirements for Calcium, Magnesium and Zinc, and now with additional copper and vitamin E. It also contains Bovatec. Designed to be delivered through additive dispensers, mixed with grain in wagons/mixers or added at the feedmill before delivery to the farm. Calcium, Magnesium, Zinc, Copper, Vitamin E, Bovatec®. Scientifically formulated to meet the requirements of high producing dairy cows. Contains Bovatec for increased milksolids production, reduced risk of ketosis,and improved health outcomes. Lactating dairy cows in various stages of lactation and springer cattle. Scientiﬁcally formulated meet the requirements of high producing dairy cows. Now fortiﬁed with additional copper and vitamin E for improved cow health. Contains Bovatec for improved milk production, reduced risk of non-clinical ketosis and improved mineral absorption. Both experimental and clinical experience is that CALCIUM is the element most lacking from the diet of dairy cattle in southern Australia. Many herds fail to perform to potential because of a chronic lack of Calcium. Most additives do not contain adequate calcium. MacroVet can be added to the grain fed to springer cattle whilst administering an anionic salt such as Magnesium Chloride or Magnesium Sulphate via the drinking water. This combination aids in preventing acidosis as well as the control of milk fever and grass tetany. This system is very practical as the same grain mix can be fed to milkers and springers. Springers can therefore be lead-fed in the dairy shed. Feeding MacroVet to milking cattle provides much needed calcium & magnesium – both are often lacking in early lactation. Eskalin helps prevent problems with grain overload when higher amounts of grain are being fed. 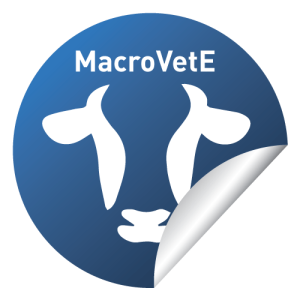 For more information on MacroVet and MacroVet E contact Dr Stephen Jagoe at Warrnambool Veterinary on 5561 7666.